BMOG Kickstarter Almost Over – But It Still Needs Your Help! At just just $3,000 shy of its production funding goal with 70 hours left, the Kickstarter campaign for Trent Troop’s “Bio-Mechanical Ordinance Gestalts” (BMOG) project still needs your help! Designed by longtime fan community members Troop, Alex Androski, and Greg Sepelak, BMOG is a series of animal companions for your action figures that separate into weapons and accessories for anything using a 5mm port – including modern Transformers. The Kickstarter will fund production of the first two in the series: Mantax, a manta ray, and Ursenal, a “bear made of guns” – the origin of BMOG. The campaign welcomes pledges of any amount, but a mere $15 will get you Mantax, $20 will get you Ursenal, and $30 will get you both – but only if it gets funded! Let’s help some fellow fans make toys! There’s been a lot of buzz about Transformers-inspired toys made by third parties over the last few years, but over on Kickstarter there’s a campaign to fund something more than just an updated Galvatron or Devestator: BMOG, or Bio-Mechanical Ordinance Gestalts, animal partners for your Transformers that break down into weapon sets! 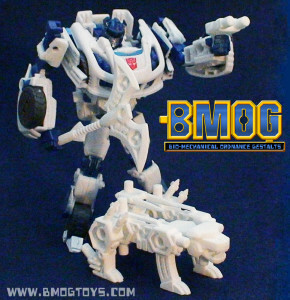 Created by Trent Troop, Alex Androski, and Greg Sepelak, all of whom have both been active in the fandom and involved with official Transformers work for Hasbro, BMOG takes advantage of the 5mm peg size that’s lately become standard with many toy lines including Transformers. 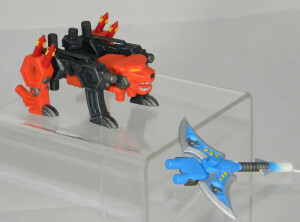 On their blog they’re keeping a running list of toy lines compatible with that size as they find them, and it currently includes mainstays like Lego and TMNT as well as some older and more obscure lines like Starriors and Superhuman Samurai Syber Squad. The Kickstarter campaign offers the smaller Mantax toy for a $15 pledge, Ursenal at $20, or both at $30, with additional colors and options available at higher levels. And, of course, you can bid as little as $1 just to show your support. 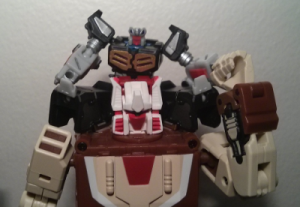 “Third Party” Transformers – Transformers-inspired toys made in relatively small runs by fans with pretty clear disregard for copyright law – are a pretty contentious business in the community. A lot of fans draw a line between the add-on sets like iGear’s IDW-style Kup heads that require you to own an official toy and standalone toys like most of what Fansproject makes. 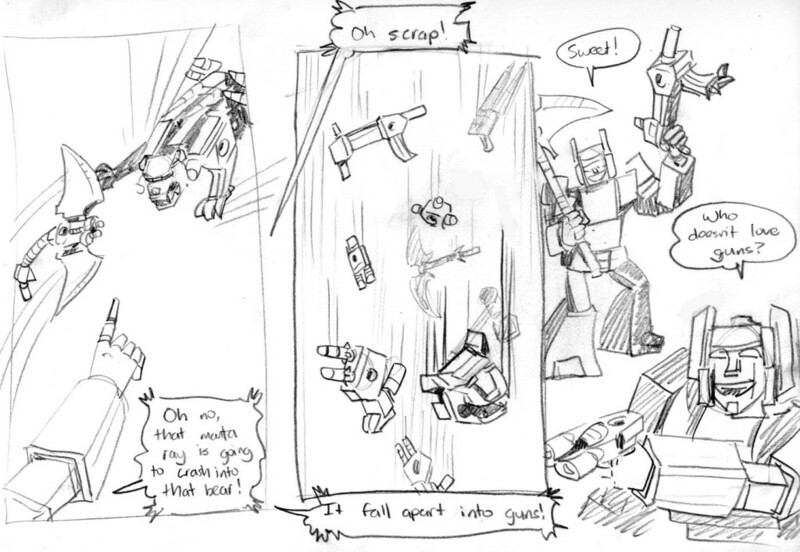 At BotCon 2012 both types were strictly prohibited from the dealer room, though a distinction was made between them and artistic fan-works like, say, the Starscream dakimakura being sold at one table. This year (possibly due to the departure of Aaron Archer from Hasbro) there were no such restrictions. For the first time I came face to face with these Third Party toys, and I fell into the abyss.